Cyndia Rios-Myers has five published titles and runs a blog for indie authors at http://cindyrios.blogspot.com/. A prolific writer, she recently discussed her books and her approach to self-publishing. 1. Tell me briefly about your books – what are they about and what inspired you to write them? The first one was The Song of the Sleeping Grass (Women’s Fiction). I was inspired to write that one when my husband deployed for Iraq. I’d recalled some of the military wives that I had met during my time as a sailor in the Navy and while a Navy wife after that. Some of their marriages didn’t survive what their husbands had seen in the war and I felt bad for them – bad for the husbands who came home different and bad for the wives who did everything right but still could not save their marriages. This one is available on Amazon and on Barnes and Noble. My second book was Joppa Park (Women’s Fiction). I wanted to write a short, but exciting story about a park ranger trying hard to secure a position at a prestigious national park who falls painfullly in love with an unattainable guy. Besides being in the Women’s Fiction genre, it is also a mystery/suspense novel as well. Available on Amazon and on Barnes and Noble. My third book, Rescued by the Wolf – Book 1 of the Wolves (Horror, Women’s Fiction) is my foray into the world of werewolves. I have always been a werewolf movie freak – long before Twilight and True Blood. But I wanted to write a story about werewolves who are adults – scary, damaged adults. It is teenager-angst free, I promise. Available on Amazon and on Barnes and Noble. 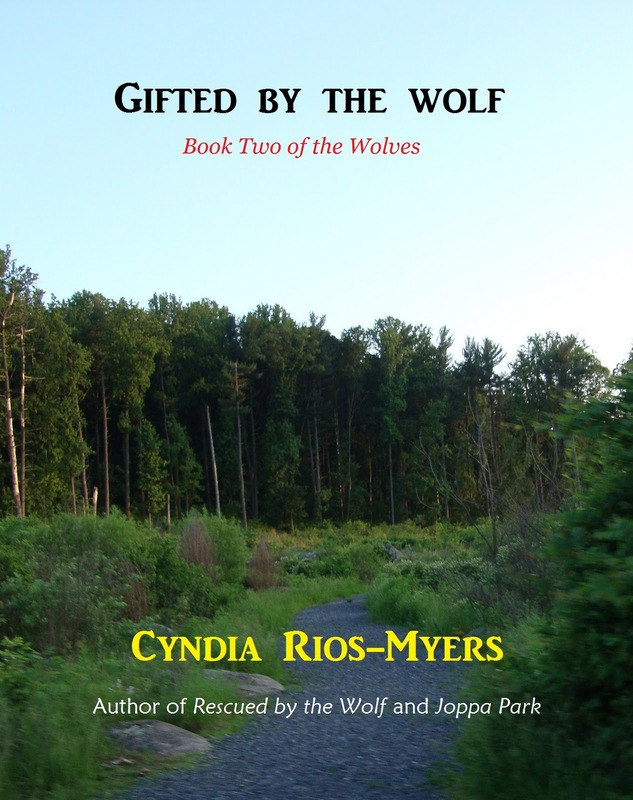 My fourth book, Gifted by the Wolf – Book 2 of the Wolves (Horror, Women’s Fiction) is obviously book two of the series. It continues right where book one leaves off. It is nowhere near as gory as book one and the storyline is a bit more gentler. But what I aimed to do here was plant the seeds of what will happen in the rest of the series. Available on Amazon and on Barnes and Noble. My fifth book, The End of Thunder and Lightning: Alanna’s Fall (Sci-Fi/Fantasy, Women’s Fiction) was inspired by a dream I had one night. Alanna is a magic user from the clan of thunder and lightning who was born under a death sentence that will be meted out by none other than her father a villanous man. She will die at his hands, but what is unknown is how she will spend the time before she falls and what sort of legacy (and seeds) she will leave behind. Available for free on my blog! I wish they were better. But I can’t complain. Okay, compared to other KDP writers, maybe I can. But I won’t. I am in this for the long haul. 3. You’ve been self-publishing for about a year. How has your experience been do far? I love it. Love it, love it, love it. I publish both with Amazon and with Barnes and Noble. I have published with Smashwords too, but have not sold a single copy with them. I’d quit them, but their premiere books provides free ISBN’s which gets you into other e-book vendors where you would not otherwise make it into. 4. Describe your experience with traditional publishers and how it compares to self-publishing. Rejection. Rejection, rejection, rejection. I’ve read crappy books on the NY Times Bestselling list and have wondered what the heck the publishers were thinking. Then again, they were apparently on to something. They got enough people to buy their books. Heck, they got me to purchase their books. That’s not to say that I wasn’t sorry, though. 5. What sort of marketing techniques have you used, and which ones have been most successful? Talking on Kindle Boards. Keeping a blog (and updating it daily). Facebook. Twitter. Those are great methods of marketing yourself. I tried writing my own press release and sending that to a bunch of media outlets. I got nothing for that. I also had The Song of the Sleeping Grass professionally edited, but that garnered me no extra sales. I use a beta reader now instead of paying for professional editing. That the hard work that I put in was an education. That there would be a reward beyond good sales and great reviews. I felt like I’ve really learned things about this industry that I would not have learned had I secured a literary agent and/or a publishing contract. I’m still learning as I go. Whenever I hit the publish button on any of the self-publishing websites, I know that I have done my best. Still, when I look back at my first couple of books I know that there are things I could have improved. Market differentiation! Series sell! Also, I would tell them to embrace the process. Right now, you are learning not only how to be a writer – you are learning how to be a publisher, a graphic artist (if you do your own covers), your own literary agent and your own publicist. It feels great to learn things from the ground up. Enjoy it. I am working on a novel for NaNo – the National Novel Writing Month project. My story is about a hog-hunting sharpshooter girl who goes to a TV shooting competition to see what she’s made of. There is love and loss in the tale. I am also editing another stand-alone book I wrote called Summation of Love, a story of two scientists who fall in love – as much as they don’t want to and fear it. I have also written books three and four of my werewolf series. I will wait to publish book three in maybe December. Book four will probably be published in March of next year. I also have other book ideas percolating in my head. A smart, but not always safe journey for adults who will be happy that they went on the trip. My blog! http://cindyrios.blogspot.com/ I provide excerpts and chapter previews there for all of my readers. I even wrote a free book titled The End of Thunder and Lightning: Alanna’s Fall that is 100% available on my blog! I wanted to write a free book for my readers – so free and easy to read that they wouldn’t even have to download it to their e-readers. All they have to do is go to my blog to read it (but not steal it! ).